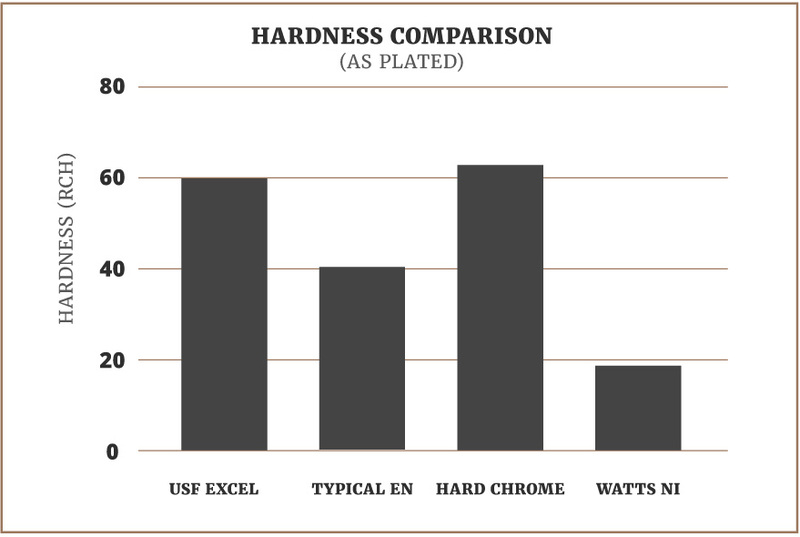 For years, engineers seeking durable coatings with hardness values above 60 Rockwell C scale had the option of either hard chrome or heat treated electroless nickel. Unfortunately, heat-treating EN to increase deposit hardness presents many problems. Deposit shrinkage and cracking often results in a dramatic reduction in corrosion protection. In addition to this, magnetic properties, stress and solderability are also adversely affected. Finally, if not heat-treated in a vacuum or inert atmosphere the deposit appearance becomes objectionable due to various colored oxides. When faced with all of these problems many engineers simply opted for the hard chrome. In the early 1990s suppliers introduced low phosphorus electroless nickel that showed much promise. 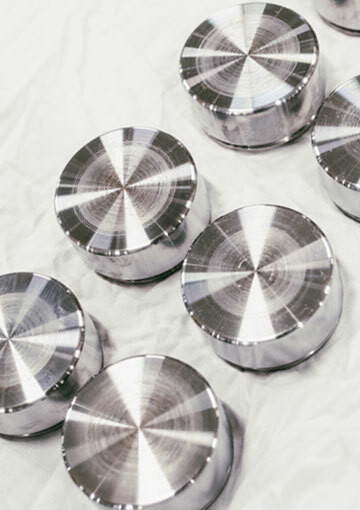 High-as-plated hardness and excellent corrosion resistance in alkaline environments were promoted and many considered it an excellent choice as a replacement for hard chrome. But low phosphorus chemistry never took off as a replacement to hard chrome for several reasons. The chemistry required to produce a low phosphorus deposit is more expensive than conventional EN. Not a good thing when competing with hard chrome. Also, the process is somewhat more difficult to operate. Loading, agitation, hypophosphite concentration and pH must be monitored closely to attain optimum performance and maintain the low phosphorus content. Up to this point, a very hard EN deposit could only be produced through a deleterious heat treatment or a temperamental low phosphorus process. Not any more. USF-Excel was developed to overcome these problems. Often times heat-treating is not possible. Some substrates can’t be subjected to these high temperatures due to impact on critical tolerances and/or effect on surface hardness of the components. In some cases heat-treating can be impossible due to size constraints and is often time consuming. In addition to this, heat treating increases the cost of the process. USF-Excel is an alternative. USF-Excel is an ideal engineering coating for today’s demanding wear applications. The following graphs illustrate the increased wear resistance of this product when compared to conventional electroless nickel. If the USF-Excel as-plated hardness is not enough, heat treatment can increase it further. Caution should be exercised when heat-treating USF-Excel. You will note maximum hardness of USF-Excel and concomitant wear resistance is attained at lower than expected temperatures and/or shorter heat treatment time. 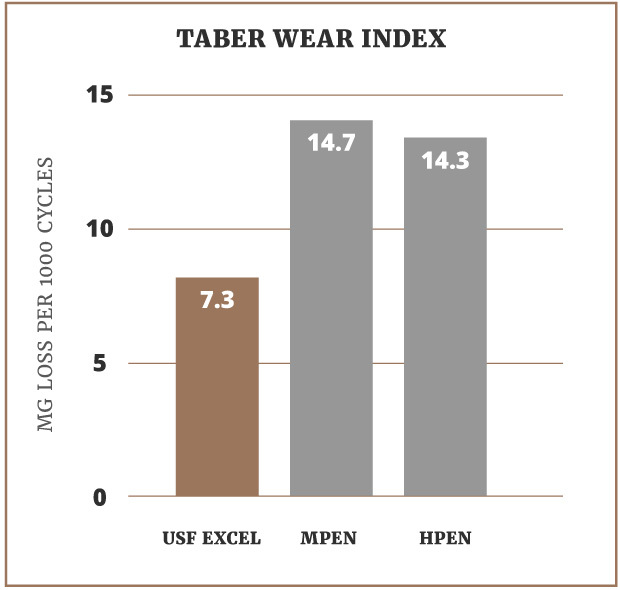 The graphs below indicate the increased wear of USF-Excel after a conventional 1-hour bake at 750° F. The maximum hardness of USF-Excel is 1000 VHN (68 RCH) and is attained by baking for only 20 minutes at a temperature of 750° F.
An additional benefit of the USF-Excel deposit is intrinsic deposit stress. Unlike most low to medium phosphorus deposits, USF-Excel exhibits compressive stress. This is important for a number of reasons. 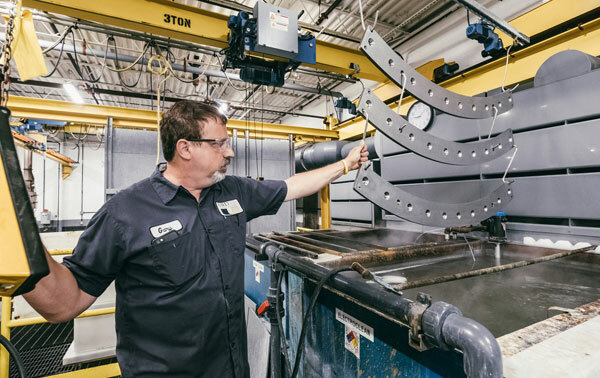 Past studies have found that many deposits exhibiting high tensile stress performed poorly in wear tests when compared to slightly softer, compressive stressed deposits. This clearly supports the claim that deposit hardness is not the sole-determining factor in wear performance of a coating. 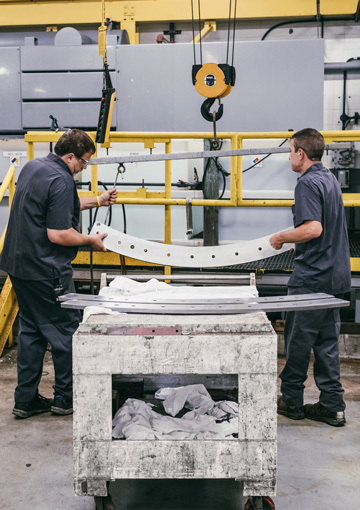 One of our clients manufactures and sells bushings and suspension parts for an array of all-terrain vehicles. 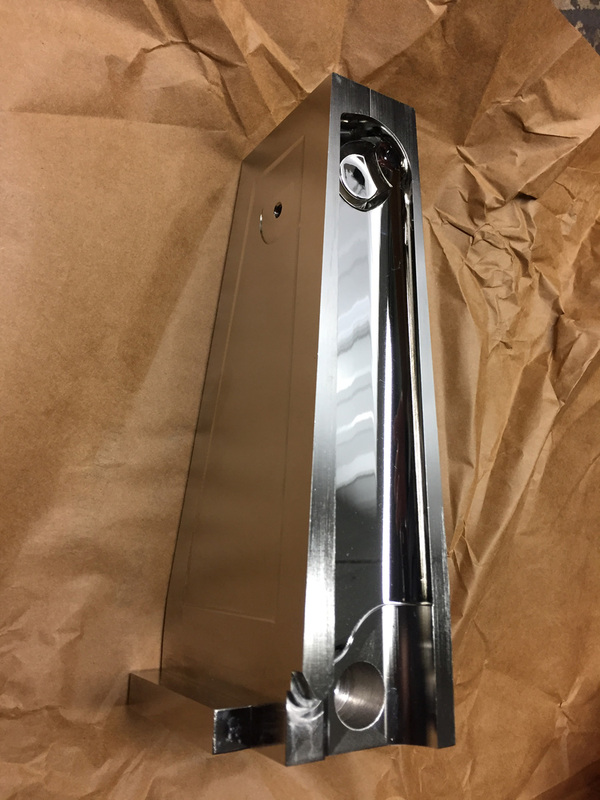 They sent a quote request to United Surface Finishing, asking us what it would take to have their parts chrome plated. But we had a different idea in mind.